Robin: Holy race car Batman, it's January 2017 and we need to start planning to follow the Verizon IndyCar Series! Batman: Right you are Robin, let's go to the Bat-Computer and check it out! R: So Batman, as you can see on this BAT-MAP, the races will be held from Florida to California, on a mixture of ovals and road courses! And they start on March 12th! B: Righty-O old chum! As you also likely noticed, both ABC and NBC Sports Networks will be covering races this year. R: JEEPERS Bruce, I mean Batman, you're right. 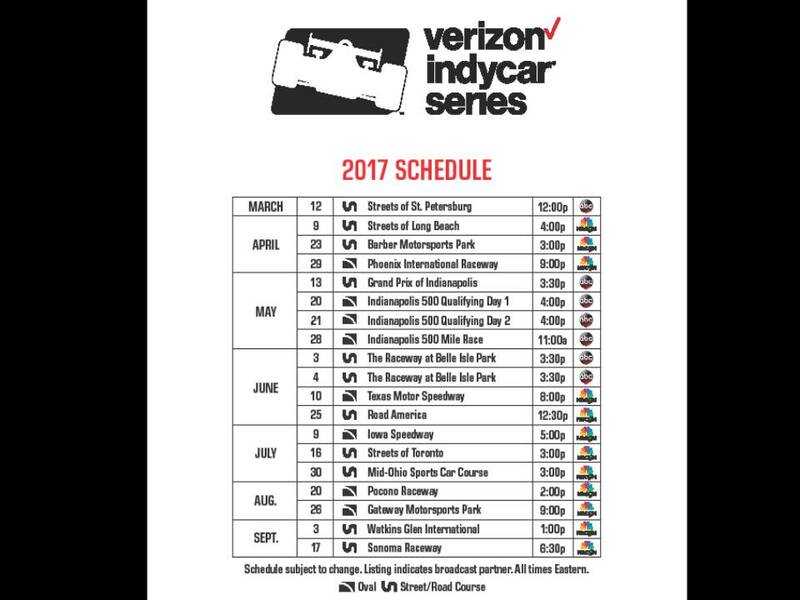 With so many races, I just wish there was some way to keep track of the dates and locations, and TV schedule. B: Robin, haven't you been paying attention in your studies? With the Bat-Internet, you can dowload virtually all information known to man on your smart phone! R: You're right Batman, I need to focus on learning, because crime never rests.